It has taken barely a week for this assessment to find decisive confirmation. It has been fully established that the Obama administration is holding precisely such a debate. On Wednesday, the so-called Principals Committee, consisting of the secretaries of defense and state, the chairman of the Joint Chiefs of Staff and the CIA director, as well as top presidential security aides, convened at the White House to consider proposals to attack Syrian government forces with cruise missiles as well as other acts of military aggression. 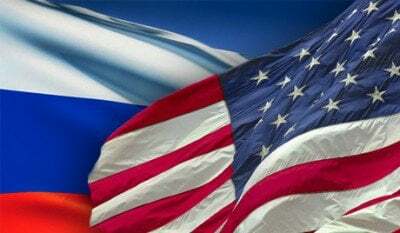 Both the CIA and the Joint Chiefs of Staff are reportedly in favor of such an escalation, which carries with it the real prospect of a direct armed confrontation between the US and Russia, the world’s two largest nuclear powers. Reflecting the growing support within sections of the US establishment for a far wider war, key sections of the media, including the New York Times, the Wall Street Journal and the Washington Post, have weighed in on the side of those within the military and intelligence apparatus advocating a new eruption of American militarism. Among the most explicit examples is an opinion column by John McCain, the Republican chairman of the Senate Armed Services Committee, published in Wednesday’s Wall Street Journal. McCain indicts the Syrian government and its ally, Russia, for having “slaughtered countless civilians” through “relentless, indiscriminate bombing.” This is being written by an individual who was one of the most enthusiastic proponents of the “shock and awe” war in Iraq that cost over 1 million Iraqi lives. McCain also calls for the creation of “safe zones” for Syrian civilians protected by the US military and “more robust military assistance” to the so-called “rebels.” He acknowledges that this strategy “will undoubtedly entail greater costs,” but provides no specific indication as to the nature of these costs or who will pay them. McCain does not even hint at the catastrophic global implications of a military confrontation between Washington and Moscow. The implications are unmistakable. Washington exerts overwhelming operational influence over the Islamist militias that have constituted the principal fighting force in the five-year-old, CIA-orchestrated war for regime change in Syria. Just as it directed them to attack the government in Damascus, it could order them to do the same in Moscow. Even from a columnist who has established the gold standard for cynicism and deceit, Friedman’s invocation of “basic civilized norms” leaves one somewhat slack-jawed. Such are the civilized norms observed by the man from the Times . Underlying the frenzied support for military escalation in Syria is the fact that the various terrorist organizations Washington has used as its proxy forces–including those directly affiliated to Al Qaeda–are on the verge of a complete debacle in Aleppo, threatening a strategic defeat in the five-and-a-half-year war to bring down Assad, an ally of Russia and Iran, and install a US puppet government in Damascus. Such an outcome would represent a serious reversal for the policy pursued by US imperialism for the last quarter century, in the wake of the Moscow Stalinist bureaucracy’s dissolution of the Soviet Union. Washington saw this development as opening an unobstructed path to its pursuit of global hegemony. It adopted the policy of exploiting its military supremacy as a means of offsetting the decline in its global economic position. The element of hysteria in response to Moscow’s actions in Syria stems from the fact that both Russia and China are beginning to frustrate this policy. The media’s lurid claims of Russian aggression notwithstanding, there is no question that in Syria, as in Ukraine and the South China Sea, it is US imperialism that is the aggressor, provoking defensive reactions from both Russia and China. That, however, does not impart any progressive content to the policies being pursued by the Russian government. If Putin could get a deal with Washington that preserved the interests of both his government and those of US imperialism, he would sign it in a minute. Unable to do so, and in the face of growing economic crisis and signs of social unrest at home, Putin has resorted to the promotion of Russian nationalism and an increasing reliance on the residual military power he inherited from the Soviet Union. In the past few days, the Russian government has ordered the deployment of additional surface-to-air missile batteries to Syria and suspended an agreement with Washington for the destruction of weapons-grade plutonium. At the same time, pro-government Russian newspapers have warned of the threat a third world war and the government has launched a major civil defense exercise in preparation for just such an eventuality. A policy of national defense by a regime that represents the interests of Russia’s capitalist oligarchy can only fuel the drive to world war. The masses of Russian working people confront the ultimate consequence of the Stalinist liquidation of the USSR in the form of a growing threat of nuclear holocaust. The only force that can prevent a new world war is the international working class, organized independently and mobilized in a struggle against capitalism, the source of war. This requires the building of an international socialist leadership, and there is no time to lose. We urge all of our readers to attend the November 5 emergency conference in Detroit, “Socialism vs. Capitalism & War,” as a critical step in this fight. Visit the conference web site and register today!